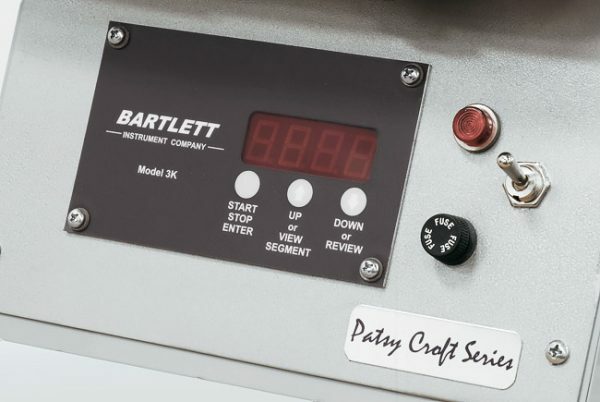 PMC Kiln Window – Patsy Croft Kilns Model #55F-3KBW. Programmable, Ramp and Hold – Cone Fire, with a window. For PMC, Ceramics, Glass Fusion and a Burnout Kiln. Portable kiln for home use. 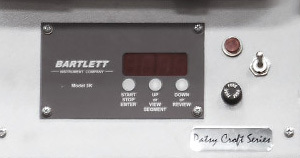 The 3KB controller offers a Programmable Kiln, Ramp and Hold – Cone Fire, with a Window. Perfect for Enameling, PMC, Ceramics, Glass Fusion and a Burnout Kiln. Multi-use kiln. Lots of options in a small package. Check drop down for additional sizes. 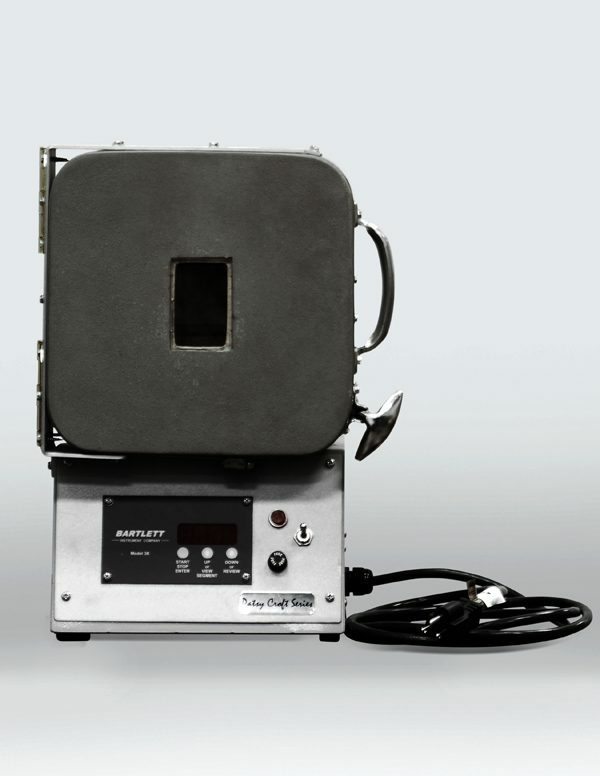 Feel free to check out more enameling kilns available on the site, or learn more on kilns here. By adding a window with your Programmable, Ramp and Hold digital controller to this small kiln becomes a multi-tasking kiln, that adds ease to your studio day. And it is a portable kiln, lightweight and small makes it easy to store it at the end of your day. This multi-use kiln has 8 segments available you can set different segments to your needs for different uses. 1- Set the Enameling temperature setting you to prefer. Next set how long you want to enamel today. 2- Set up your ramp and hold for PMC or Glass Fusion. 3- Once you have completed the PMC construction you have the segment ready to enamel your PMC jewel. 4- Set up your ramp and hold for small pottery vessels. 5- Set your desired temperature and hold time for Glazing. 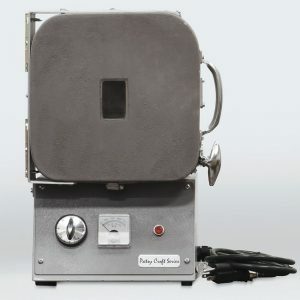 Not only is the 3KB is a very functional and diverse digital programmable Kiln but also a portable kiln with a window. 55F: Interior 5″ x 5′ x 5″, 66F: Interior 6" x 6" x 6", 99F: Interior 9" x 9" x 9"
I have a larger kiln but wanted one that I could take to Malaysia with me as luggage. This kiln is light weight and has a small foot print. I have used it here in the US.It heats up FAST and holds the heat. The handle did not get hot until after the kiln was on for many hours. The controls were self explanatory. I have one with a window, which made it easy to see when the piece was fired to where I wanted it. I received the kiln in I think less than a week after ordering. Also I had great communication from Patsy, when I had some questions about taking this unit to another country. 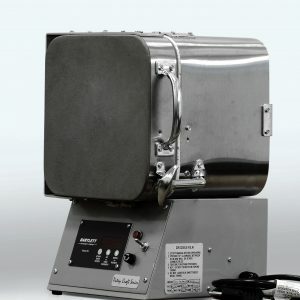 The best small kiln for jewelry! Even though located in the USA – my portable kilns are available for sale worldwide! I built my enameling kilns to last and by being portable shipping is made easy. Even though the ordering system on the site is limited to continental USA – There is no limitation from where customers can order this product. Just keep in mind that these use 110 outlet. We’ve now shipped our portable kilns to Canada, Australia and Malaysia! 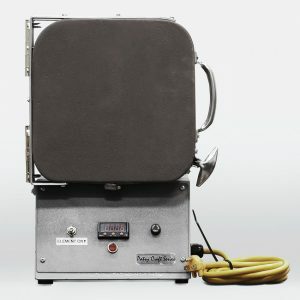 Even with shipping my portable kilns are among the most affordable kilns on the market. Just email me for a quote via form below.